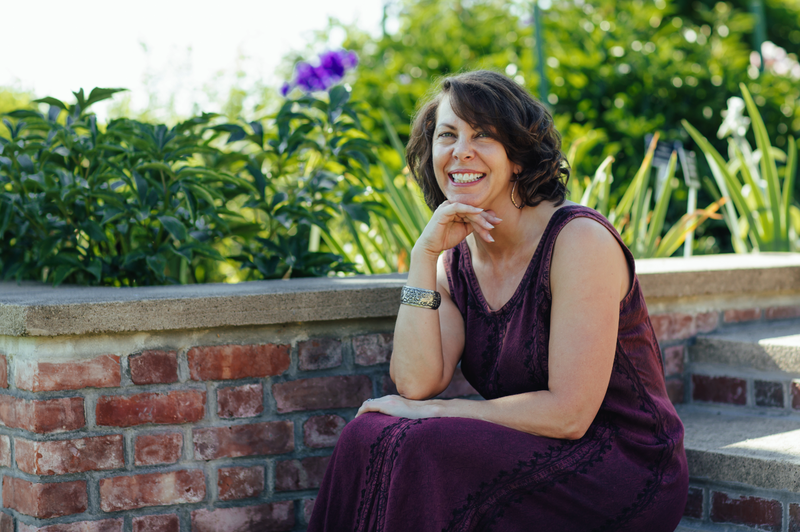 In this interview with Tammy Flanders Hetrick, author of ‘Stella Rose’, issues of craft, friendship, parenthood and female strength are discussed. Q: At first glance, Stella Rose appears to simply be a heartbreaking novel about death and loss, yet you are able to take a topic that is by no means light and imbue it with hope, purpose and a sense of inspiration. What prompted the actual plotline to develop as it did? Why this story? A: Years ago, a dear friend of mine was battling leukemia – and she survived. During that time, I found a bruise on my arm. Bruising is sometimes a symptom of leukemia, and I thought to myself, what if? My son was already out of the house, but my daughter, Ariel, was entering her last year of high school. If something happened to me, my husband could take care of her, but I really wanted my best friend to be involved. She and Ariel always had a special bond. I often joked that between the two of us, we made the perfect mom for Ariel. The story arc formed in my mind in an instant – though the writing took several years. Q: In a similar vein, messages of perseverance, courage and optimism pervade Stella Rose, despite the hardship and abuse that is abundant across its pages. Did you start out with these themes or with the characters, storyline, etc.? A: I started with the characters and the story arc. Then I poured out the first messy draft during NANOWRIMO (National Novel Writing Month). That’s when the plotlines formed and various themes emerged. I describe myself as an intentional, devoted optimist, so it was inevitable that no matter how dark I would go with this story, my characters would find courage and perseverance – though usually the hard way. So during the revisions, I mined these characters for traits that would see them through, even if they weren’t obvious or elegant. Q: Friendship is an important theme in the book: even Stella Rose and Olivia at times appear to be friends even though they are mother and daughter. Can you talk more about what friendship means for you both in the context of the novel and in the world at large? A: Friendship is foundational. As women, we have many relationships to manage: spouse, mother, daughter, employee, etc. We love these people in our lives, but let’s face it, these relationships require energy. Friends? Endless energy source! I spend an hour with a dear friend, and I am recharged. I can return to these other relationships refreshed – stronger, better. So why do we deprioritize time with our friends? Why do we take care of everyone else, then squeeze our friends into tiny slots of time – if at all? Because we think friends are indulgences instead of the life’s blood they really are. Friendships make us better, and then we make better families and better communities. This is what I wanted to convey in Stella Rose, and it’s what I want to talk to women about every day. Q: The book focuses specifically on women and their journeys through love, loss, joy and hardship. Can you speak to the importance of the strong feminine presence in the novel? A: I have been blessed with strong women in my life who have expected no less than a strong presence from me, so it’s who I am. I couldn’t write a novel without a strong feminine presence, but even I could, I wouldn’t. We don’t have strong women in print, though I am heartened by YA series like the Hunger Games and Divergent. Additionally, I wanted to show strength in more ways than physical prowess. My characters’ strength comes in the form of fierce compassion, loyalty, and integrity, as well as how much they can endure and still show up for each other. Q: The challenge of writing a character that doesn’t quite make a physical appearance in the book must have been vast. Did you always know you wanted to make Stella most palpable through her letters, or did that develop later? A: As I was barreling through the story, I realized with a start that Stella was barely mentioned after the first sketchy chapter. I pondered ways to weave Stella into the story and then thought, what would I do? If I knew I was dying, would I just trust everything to turn out right? I had already written one letter by Stella thanking Abby for taking care of Olivia. Then it struck me: 12 letters and mementos which would say more about Stella than flashbacks and other devices. These letters became the glue that helped me hold the novel together when it became unwieldy. Then they became the glue that held the characters together. Q: What is your greatest hope for Stella Rose? What, if anything, do you most hope readers take with them from their experience of reading? A: My greatest hope is that Stella Rose finds its way to everyone who would be moved by its message of hope, love, and appreciation. I hope every reader takes away a renewed sense of devotion to their friends and family. Maybe it’s time to pick up the phone – or even better, pick up the pen!